MEP > Construction > Building a Nursing Home? How Much Does It Cost? Building a Nursing Home? How Much Does It Cost? These days, building a nursing home or assisted living facility is considered a solid investment, and for good reason: building a nursing home can offer backers a high return on investment. Not only that, but projections also indicate that the demand for assisted living facilities and nursing homes is increasing because the number of people over the age of 65 is expected to skyrocket over the next 20 years. There is actually a couple of ways to answer the question, “How much does it cost to build a nursing home?” The short way is to simply give you the numbers. On average, building a nursing home in the United States costs about $160 per square foot. If you have a rough idea how large of a facility you’d like to build, all you have to do is multiply the number of square feet by $160. For example, a facility that measures a total of 25,000 square feet would cost four million dollars on average. But you need to keep in mind that this is just an average. When you look at the data a little closer, you’ll see that the cost range goes anywhere from $120 to $215 per square foot. Where your facility is located has a considerable effect on the cost of construction. If you’re interested in building a nursing home in San Francisco, you should expect to pay a lot more than average; it’ll cost you almost $200 per square foot. For a nursing home in Houston or Dallas, you’re looking at the lower end of the scale – around $140 per square foot. The price per square foot varies for a number of reasons. For starters, the cost of land differs from city to city. 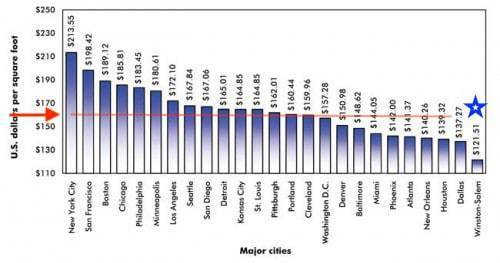 Building in Kansas City will be a lot less expensive than building in New York City because land costs less there. Location also determines how much you’ll be spending on labor. For example, construction workers in New York make an average of $43,311 per year but those in Alabama make just $28,580. The cost of materials also depends in part upon where you build. You also need to take size into consideration when figuring out how much it will cost to build a nursing home. Constructing a 10-story nursing home is a lot more complicated than building a structure that’s just one or two stories tall. That means the taller a building is, the higher the cost per square foot will be. Another factor to consider when calculating the cost of nursing home construction is the type of materials you plan to use. Are you planning to build a high-end retirement facility with a brick exterior and hardwood floors? Or would you prefer to lower your building costs by using vinyl siding and laminate flooring? Using the information provided, you should be able to calculate a rough building estimate. The first thing you need to do is determine the average cost of nursing home construction per square foot in your location. If you’re in a large city with a high cost of living like Boston, San Diego, Seattle, or Washington D.C., then you’ll need to stick to the high end of the range, which is $215 per square foot. If you’re building in a more affordable location like Indianapolis, Oklahoma City, Wichita, or Phoenix, then head toward the lower end of the scale at $120 per square foot. For those of us located in the southeastern states (North Carolina, South Carolina, Georgia, and Virginia) you will notice the cost range to be on the lower end of the spectrum. In fact, consider Winston-Salem as the place to build a nursing home as the cost is one of the lowest, and it has a lot to offer. Then you need to adjust that number for the size of your facility. If your nursing home is going to be larger than 25,000 square feet and two floors tall, bump the number up a bit. And don’t forget to account for the difference in materials; if you’re using high-end materials, then increase the average cost again. This will give you a general idea how much you’ll be spending. If you want a more specific estimate, it’s a good idea to contact a reputable construction company near you. Provide them with all the details on your project, and they’d be happy to give you a comprehensive quote. For your assistance in building a nursing home, MEP Painting & Wallcoverings, Inc. offers budgeting and project planning help. Their experienced contractors help client’s prepare for their construction projects. If you need help with research and finding the right people for the job, MEP will help you with that also. For twenty years they have provided top quality work, on time and within budget. Their portfolio and testimonials of past projects demonstrate great client satisfaction. For your construction project call the MEP at 336-215-0284 or submit the contact us form. 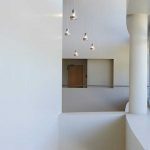 What Kind of Restaurant Wall Coverings Should I Use? How Much Will My Commercial Building Construction Cost? 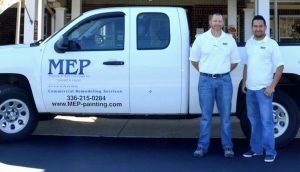 MEP Painting & Wallcoverings Inc.
*Emergency support service is available after hours for water damage restoration work only.